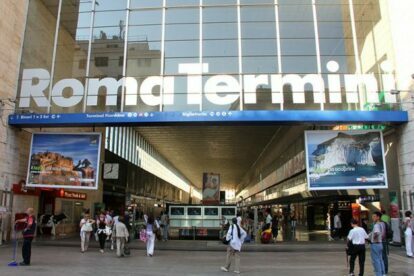 Termini is not loved by Romans. The building is kind of ugly, it’s always crowded and it is inevitably associated with work and transport, as people usually pass through here on their commute to work. The thing is, Termini knows this and it is doing everything it possibly can to reinvent their space. So, shops have opened up and it is slowly becoming a mall in the center of Rome, and even though there are no shops exclusive to Termini, there is still plenty to choose from. The real stars though are the restaurants – most recently, the Mercato Centrale, but it’s not only that: the “Terrazza Termini” is becoming one of my favorite spots as it has six great restaurants such as Ham Holy Burger and Freeto. The view is probably not one of the greatest, but there is plenty of seating space and it is actually a very comfortable environment. In the immediate surroundings there is also the “Discoteca Laziale” where you can find plenty of great CDs and vinyls and also an Eataly in Piazza della Repubblica, which offers great food. And being the center of transportation, you can easily stop by for a quick bite while you are going somewhere else. Termini is not the fanciest spot in town nor the most admired. But if it can successfully reinvent itself it can become a new hang out spot for this town, and they are definitely on the right track.